Since four decades, rapid detection and monitoring in clinical and food diagnostics and in environmental and biodefense have paved the way for the elaboration of electrochemical biosensors. Thanks to their adaptability, ease of use in relatively complex samples, and their portability, electrochemical biosensors now are one of the mainstays of analytical chemistry. In particular, electrochemistry has played a pivotal role in the development of transduction methods for biological processes and biosensors. In parallel, the explosion of activity in nanoscience and nanotechnology and their huge success have profoundly affected biosensor technology, opening new avenues of research for electrode materials and transduction. 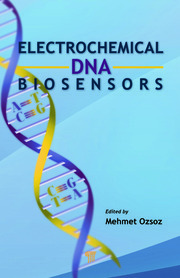 This book provides an overview of biosensors based on amperometry, conductimetry, potentiometry, square-wave voltammetry, impedance, and electrochemiluminescence and describes the use of ultramicroelectrodes for the real-time monitoring and understanding of exocytosis. Areas of particular interest are the use of silver and gold nanoparticles for signal amplification, photocurrent transduction, and aptamer design. Moreover, advanced insights in the innovative concept of self-powered biosensors derived from biofuel cells are also discussed. Electrochemical Detection of Exocytosis: A Survey from Earliest Amperometry at Carbon Fiber Ultramicroelectrodes to Recent Integrated Systems. Adsorptive Stripping Voltammetric Determination of Metabolites. Electrochemical Nucleic Acid Aptamer-Based Biosensors. Amperometric Enzyme Electrodes. Electrochemical Biosensors Based on Carbon Nanotubes and Nanohybrids: From Fundamental to Biological Architectures. Gold and Silver Nanoparticles for Electrochemical Immunosensors. Electrochemical DNA Sensors Based on Nanoparticles. Electroenzymatic Labeling for iImmunosensors and DNA Sensors. Conductometric Enzyme Biosensors. Impedance Immunosensors. Transduction of Biochemical Reactions by Use of Quantum Dots and Photocurrent Detection. Biosensors Based on Electrochemiluminescence. The Self-powered Biosensors based on Biofuel Cell. Serge Cosnier is research director at CNRS and head of the Department of Molecular Chemistry at Grenoble Alpes University, France. He received his doctoral degree in chemistry from Toulouse University (1982) and was an Alexander von Humboldt postdoctoral fellow. Dr. Cosnier’s activity is focused on biosensors, biofuel cells, electrogenerated polymers, molecular electrochemistry, and carbon nanotubes. He has made important contributions in the area of enzymatic biofuel cells, electrochemical biosensors, immunosensors and DNA sensors, and inorganic composite modified electrodes and is an international leader in the field of electropolymerized films applied to bioelectrochemistry. Dr. Cosnier has authored over 285 peer-reviewed publications (h-index 48), 2 books, and 17 book chapters; holds 13 patents; and was the president of the French Group of Bioelectrochemistry (2001–2014). In 2009, he received the Katsumi Niki Prize of the International Society of Electrochemistry and was appointed Fellow of the society in 2010. In 2013, Dr. Cosnier became a member of the Academia Europaea and was nominated as a finalist for the European Inventor Award 2014 by the European Patent Office. 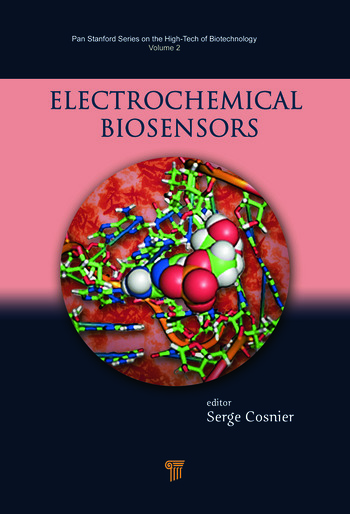 "This is an excellent book on modern electrochemical biosensors, edited by Professor Cosnier and written by leading international experts. It covers state-of-the-art topics of this important field in a clear and timely manner." "This book covers, in 13 well-illustrated chapters, the potential of electrochemical methods intimately combined with a biological component for the assay of various analytes of biological and environmental interest. Particular attention is devoted to the description of electrochemical microtools in close contact with a biological cell for exocytosis monitoring and to the use of nanomaterials in the electrochemical biosensor architecture for signal improvement. 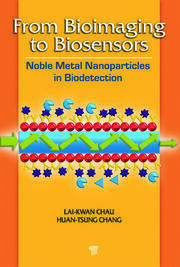 Interestingly, one chapter describes the concept and design of self-powered biosensors derived from biofuel cells. Each topic is reviewed by experts very active in the field. This timely book is well suited for providing a good overview of current research trends devoted to electrochemical biosensors." "Written by leading international experts in different fields of electrochemical transduction for biological phenomena and biosensors, this timely book is well suited for graduate students and scientists, providing a good overview of current research trends and perspectives in the area."